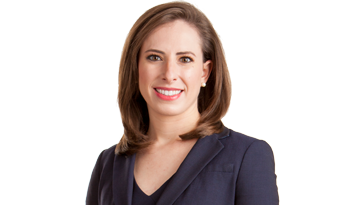 Allison Wallrapp-McMullan joins the Shankman Leone team as an experienced attorney in Employment and Labor Law. She comes to the team with several years of practice in a wide variety of employment-related legal matters, offering the team versatile and astute perspective and experience. Her practice focuses on representing employers in both state and federal court cases. She’s defended employers in an array of cases involving several employment related acts including the Americans with Disabilities Act, the Age Discrimination in Employment Act, FMLA, the Fair Labor Standards Act the Florida Workers’ Compensation Law anti-retaliation provision and more. She also routinely defends clients before the Equal Employment Opportunity Commission and Florida Commission on Human Relations. In addition to her work defending clients, Allison is also heavily involved in the representation of management in drafting and evaluating a variety of legal/corporate documents. She’s been called on to advise on employment agreements, non-compete agreements, and workplace policies. She also has experience guiding employers through I-9 audits by U.S Immigration and Customs Enforcement. A leader in her field, Allison was named a Rising Star in Employment Litigation: Defense. She’s heavily involved in her local community through the Hillsborough County Bar Association, Emerging Leaders of Tampa Bay, the Junior League of Tampa, and SuncoastHR. Personally, Allison enjoys a swath of activities including volunteering, cooking, traveling, and spending time with her family and friends. She’s also a sports enthusiast and loves visiting Major League Baseball parks, of which she’s been to 29 (and counting! ).